SurveySpot claims you can use the site to take surveys for the greatest rewards. 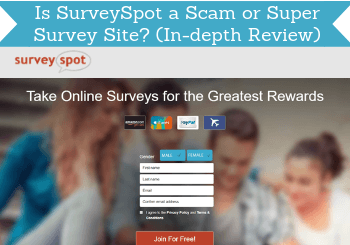 But is SurveySpot a scam, or are the claims true? There are many paid survey sites in general, so it is important to make sure the ones you join are worth your time. This SurveySpot review will go into details about what this site offers compared to others, so you can easily see, if it is for you or not. So let’s get started and find out, if SurveySpot is one of the great sites or a waste of time. What is SurveySpot and what does the site offer? SurveySpot has existed since 2000 and is owned by the market research company Survey Sampling International, LLC. This is one of the big players within market research, and you can in general assume that any site this company is behind is legit. Therefore, I can reveal already that SurveySpot is legit – this does however not mean it is worth joining and one of the good options. So let’s go over what the site offers, so you can see, if it is for you or not. 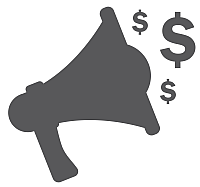 SurveySpot mostly just offers one way to earn, and this is paid surveys. This is not necessarily a bad thing, as pure survey sites like this often are very easy to use. That is also the case for SurveySpot. Once you are a member, you will start receiving email invitations to surveys, and you can then chose to participate in the ones you wish to. Be aware that on SurveySpot you do not create a login and get access to the members area right away. You first sign up, and then you receive an email you have to verify and then you are able to create your account. You have to confirm your email, before you can get access to the platform. Not until after you have verified your email, you will be able to login and start receiving surveys. In general, you should not expect too many surveys from SurveySpot. It has a decent amount, but if you want to participate in daily surveys and have more earning opportunities, it is a good idea to also join other legit survey sites. The surveys on SurveySpot usually pay 50-100 points each, and takes on average 15-20 minutes. This value for your time is a bit low compared to some of the higher paying survey sites, but it is still makes it possible to earn a little extra cash. SurveySpot has one more way you can potentially earn, if you are very lucky. It has a quarterly prize draw, where one winner will get $10,000. As a new member, you automatically get an entry into this prize draw, but other than that, you get entries by participating in surveys. Every time you participate in a survey, you will get an extra entry into this prize draw in addition to the regular reward you get. So the more surveys you take, the more chances you have of winning. You even get an entry, when you end up not qualifying for a survey, which is a nice consolation prize. This is definitely one of the biggest prize draws I have seen on survey sites. BUT you also have to be extremely lucky to win. It is a nice extra chance to get as a member, if you already enjoy taking surveys there. But you should not join just with the goal of winning this prize, as it is like a lottery – you can potentially win, but you have to be extremely lucky. As you can see, it is possible to earn a little extra by taking surveys on SurveySpot. But how you can get these earnings out is also very important to know. When you take surveys on SurveySpot, you earn points. You can then chose to exchange these into one of 4 SurveySpot rewards. SurveySpot offers 4 kinds of rewards. You can get paid in cash through PayPal, get Amazon gift cards, get iTunes gift cards, or Airmiles. It might not seem like a lot with 4 reward options, but they are in my opinion good options, and it should be possible to find a good payout method more or less no matter your preferences. Personally, I prefer PayPal as a reward, as I like getting my survey rewards in cash, but the other options are also great depending on your preferences. 100 points on SurveySpot is equivalent of $1. You need 500 points to request an Amazon gift card, whereas you need $10 to get paid through PayPal. SurveySpot is NOT one of the survey sites with the most opportunities. It has a decent amount, but if you want to participate in as many surveys as possible and have chances of earning money that can actually make a difference, you should not join it as the only site. Joining SurveySpot as the only survey site will give too limited opportunities. Being able to take surveys on your mobile is a great way to earn on the go. Since you do not really have to log in to SurveySpot to be able to take surveys, and will be able to take them through the invitation links you receive via email, you can use it on mobile, if you have access to your email on mobile. Some surveys will not be fully optimized for mobile, and you might therefore have to scroll in and out a bit, but in general it is possible to use SurveySpot on most devices. If you should need to log in to SurveySpot on your mobile this is also possible, as the website works fairly well on mobile. SurveySpot is purely a US survey panel, and you can only join it, you are a resident of the USA. If you do not live here, you can instead check out the list of the best survey sites in your country here. Even if you live in the US, there are however survey sites with better and more opportunities. You can check out the best US survey sites here. If you should need any help or support, SurveySpot has a support email and a place to submit a question on the website. There is actually even a phone number, which is quite unusual for a survey site. They also have a Facebook page that is dedicated to giving support. SurveySpot has a Facebook support page – there is however not much activity. There is however not a lot of activity on that Facebook page. There are not even answers to the people that have left negative reviews and comments. I have not needed support from SurveySpot myself, so I cannot say for sure how quickly they will get back. But from looking at the interaction on the Facebook support site, it is not a good sign. The lack of support is unfortunately also a reason for several complaints, as I will get to next. In my research I found several SurveySpot complaints. For example on their support page on Facebook. There are some people that complaint it does not have enough opportunities. This is of course a matter of expectations, if there are enough surveys or not. But I also saw several other complaints that are not a good sign. Let me give you a couple of examples. Example of a SurveySpot complaint. This woman complaints she had her account frozen, and it took 60 days without getting an answer until she contacted them again. She however never got any real answer and solution, and I assume from what she writes she lost what she had in her account there. I have tried once myself to suddenly have my account locked on a survey site. When I reached out, the support just gave a very brief answer and no specific solution and answer, and I never got access again. I can therefore relate to this frustration, even though it was not on SurveySpot this happened to me. But not a good sign, they do not give a full answer. The complaint showed above shows a man who apparently got a gift card with no value on it. After emailing them 8 times, he still did not receive an answer. None of these serious complaints received on answer by the support staff on the Facebook page, which is not a good sign. In their defense, I will say that there are also many positive SurveySpot reviews from people that have never had any problems with SurveySpot. You just need to be aware that if you join, make sure to read the terms and conditions and do not break any rules, as you can then risk having your account locked. Also, if you should need support, there are options, but it seems like it is not the most efficient support. SurveySpot is a legit survey site with a reputable company behind it. This does however not mean it will be the best option for you. So let’s finish by summing up the pros and cons, so you can get a better overview, before deciding to join or not. My feelings are a little mixed, when it comes to SurveySpot. It is possible to earn some extra cash there, it has great reward options, and fairly low payout threshold. It can however still take some patience to reach the payout threshold, as there are limited surveys available. In addition to this, it seems like their support at times is unresponsive and slow. In my opinion it can be a site worth considering as an extra site, but I would not solely rely on this. If you have any comments, questions, or have any experiences with SurveySpot yourself (positive or negative), I would love to hear from you in a comment below. SurveySpot is a legit survey site. You can earn some great rewards here, but it has limited amounts of surveys, so it can take some patience. In addition to this it has several complaints about poor customer service. It can be worth considering as an extra site, if you live in the USA. But there are in general survey sites with better and more opportunities.